Congratulations have to go to all the organisers for the many, many hours of hard work that goes into getting such an event occurring. Providing 36 presentations over the two days with a wide variety of topics and many well known presenters was marvelous. You would have been a hard person to please if you couldn’t find topics of interest. There were topics directly related to improving peoples knowledge on how to use resources such as Ancestry, FamilySearch and FindMyPast which are always well received. Shauna Hick’s talk on ‘Google your family tree: Tips & Tricks’ was well patronised and many people left determined, once they got home, to try out what they had learned. Due to a family bereavement one of the speakers had to withdraw at the last moment (late last night) so I filled in today with my talk on “Demolishing Brick Walls” which was well received by an enthusiastic audience. 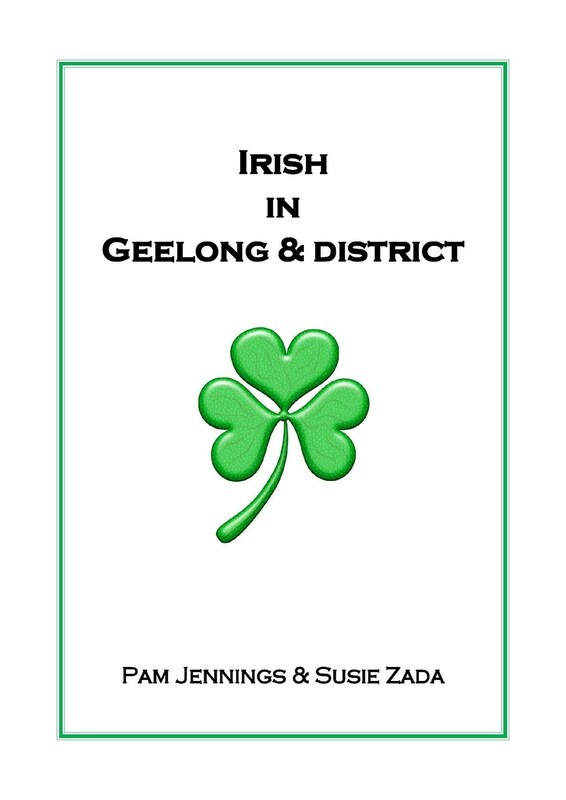 Susie Zada of Geelong and District FHS released their new CD production Irish in Geelong and District during the Expo. The culmination of a huge amount of work. I attended talks relating to Victorian repositories about which I knew very little, Genealogical Society of Victoria Inc GSV and the Australian Institute of Genealogical Studies Inc AIGS Both contain a wide range of records for Victoria, Australia and internationally as well as specialised records. All of which warrant a closer look next time I am down this way. Heather Garnsey from The Society of Genealogists gave presentation on their wide range of resources and was also an exhibitor. It was great to see the number of Family History Societies as exhibitors, showing attendees their databases and sharing their specialised local knowledge. All the exhibitors in the Expo hall were very busy with answering questions and solving problems. I also picked my copy of issue six of Inside History as I couldn’t wait for it to be posted to me! This magazine has gone from strength to strength over the last year. I have been privileged to have a number of articles published in Inside History and I thank Cassie for this. It is well produced and the stories and artwork are great and good to see interesting stories. good review of how the Volunteer, militia and permanent military worked together. In the second part of the presentation he showed the large variety of records he had used to follow the history of the military men in a photo. There was a wide range of records from all the more usual to newspapers to a Winners Board to a family memory box. Andrew reminded us how those items in the family’s possession are your clues. In my family I have a menu from a reunion dinner of the Moreton Regiment and some should badges from the Oxley Battalion which belonged to my great-grandfather Georg Howard Busby. Then I listed to Susie Zada talking on ‘Sewerage records: an Untapped Resource’ and my advice is if you ever have the chance definitely attend this talk! It was quite enlightening to see what could be learnt from these records and Susie is an enthusiastic speaker. Then it was time to start packing up the exhibition hall as the Arena had a big basketball game on that night. With concentrated effort the Arena was transformed from a Family History Mecca to a blank canvas ready for the Arena staff. Then there was the creative packing into the van and the final look around before we went to dinner at the Sphinx before some headed to the airport. I enjoyed the meal at the Sphinx but must admit it was not something I expected to see in Geelong!